In 1990 I started ballacchino design with one goal in mind, to create beautiful furniture pieces in a wide variety of styles that would appeal to a very discerning clientele. Over the past 21 years ballacchino design has become known for innovative spatial solutions as well as a diverse portfolio of distinctive furniture styles. 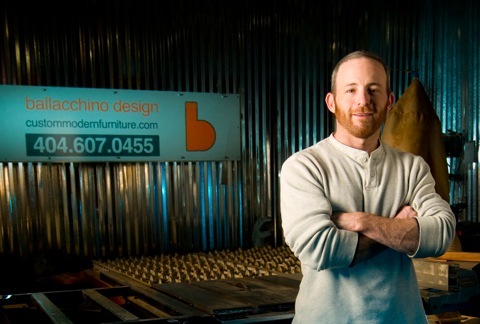 Thru the years I have designed and built custom furniture pieces for clients all across the United States. Working with many talented Interior designers and architects my broad range of experience encompasses custom kitchens, bathrooms, media rooms, entire living rooms, bedrooms as well as office spaces, restaurant pieces and retail build-outs. Every piece I build is finished in-house using the highest quality lacquers and stains available today. This ensures a beautiful and durable finish that will amplify the beauty of each and every unique piece. ballacchino design offers the complete process from design,fabrication, finishing and installation. If you have a unique space and you are in need of a super custom furniture piece, you have come to the right place. “I hope you enjoy viewing all of the projects I have had the pleasure of working on”.